Add OTAB’s to your product line. OTAB’s keep Bait Fish, Shrimp, Crawfish & Tropical Fish alive for hours by releasing bubbles of 90% Oxygen and 10% Carbon Dioxide. 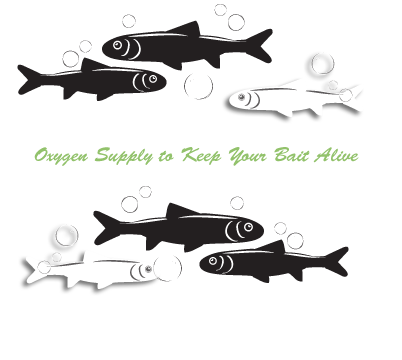 OTAB’s can be used in Fresh or Salt water. They Do Not Dissolve, Do Not Contaminate the water & are Eco-Friendly. Copyright 2017 Otabs.com. All Rights Reserved.